Last week, Samsung announced a couple of new PCs: the ATIV Book 9 laptop and the ATIV One 7 All-in-One. With the Consumer Electronics Show underway in Las Vegas the company is now offering a first look at the new devices. 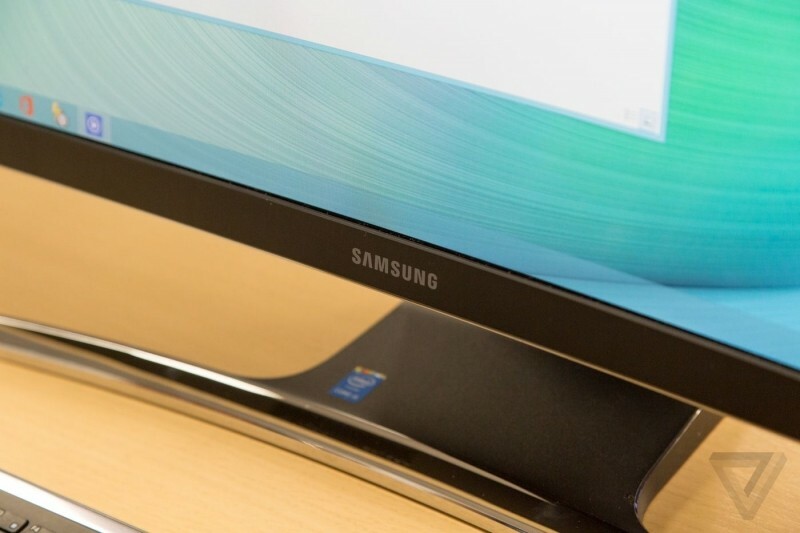 First up is the 27-inch ATIV One 7 Curved, which Samsung says is the industry’s first curved All-In-One PC. Its Full HD (1920×1080) display has a 4000R curvature and provides 178-degree wide viewing angles. Other specifications include a 2.2GHz Intel Core i5 processor, 8GB RAM, integrated graphics, 1TB flash drive, four USB ports, an HDMI port, and a card reader. “The arched display of the ATIV One 7, along with top-of-the-line multimedia capabilities for rich sound and easy content sharing across devices, make this model stand out from the rest as the ultimate entertainment desktop,” said Gary Riding, VP of mobile computing marketing at Samsung Electronics America. Samsung's other new release is the all-aluminum ATIV Book 9, which the company claims is the lightest Book 9 ever, measuring in at 0.46 inches and weighing in at 2.06 pounds. It is powered by a 5th generation Intel Core M processor, has a 12.2-inch display with 2560 x 1600 resolution, and is equipped with a low-reflection coating with 350nits of brightness that bumps up to 700nits when switched to outside viewing mode to enhance sunlight-readability. The laptop also features a Wolfson WM5102 UHQA lossless audio player and offers up to 10.5 hours of battery life. “Samsung is dedicated to providing the best options for consumers to stay fully connected and productive from anywhere, and the ATIV Book 9 goes above and beyond in meeting that demand for both consumers and professional users,” Riding said. The ATIV Book 9 laptop as well as the ATIV One 7 All-in-One PC will be available for pre-order sometime in the present quarter, starting at $1,199.99 and $1,299.99, respectively.